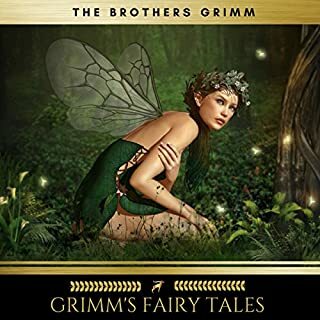 This classic tale is a fantastical fable of two dear friends - one of whom goes astray and is literally lost to the north woods, while the other undertakes an epic journey to rescue him. 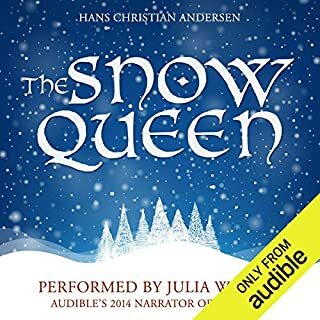 This charming, strange, and wonderful story is a timeless allegory about growing up and the challenges of staying true to one's self, and it served as the wintry inspiration for the blockbuster hit Frozen. The Ugly Duckling tells the story a homely little bird born in a barnyard who suffers abuse from others around him, until, much to his delight, he matures into a beautiful swan, the most beautiful bird of all. The story is beloved around the world as a tale about personal transformation for the better. 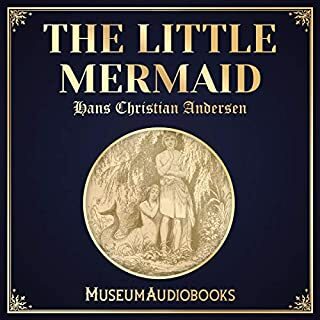 In this fairy tale by Hans Christian Andersen, a young mermaid saves the life of a prince. She falls in love with him and undergoes many trials. Finally, she achieves salvation as she was prepared to give up her identity as a mermaid to gain a human soul. A wealthy widowed merchant lives in a mansion with his three daughters. All are equal in beauty, but the youngest, Beauty, is kind and pure of heart; while the two elders, in contrast, are wicked, selfish, vain and secretly taunt and treat Beauty more like a servant than a sister. The merchant eventually loses all of his wealth in a tempest at sea. Julie Andrews and Emma Walton Hamilton share a diverse mix of their most beloved poems, songs and lullabies in this timeless audio treasury. Brought to life with James McMullan's stunning watercolor paintings included in a bonus pdf, this anthology features nine themed sections, and nearly 100 poetry selections from a wide range of talent. Actress Glenn Close narrates this story, accompanied by original music by Mark Isham. The Emperor and his court in ancient China discover a little grey bird with an enchanting song. But when the Emperor is presented with a jewel-encrusted, artificial singing bird, he banishes the nightingale from his court. Years later, he realizes that the song of the real nightingale is the true treasure. The little mermaid Ariel wants to be human, and nothing - not even a nasty sea witch - is going to stop her. Disney's The Little Mermaid is a complete retelling of this beloved Disney film. When the stepmother queen, who thinks much of her own beauty, hears the magic mirror proclaim that not she but Snow White is the fairest in the land, she jealously plots to destroy the young girl. But beautiful Snow White finds protection in the woods living happily with the seven dwarfs - and ultimately living happily ever after with the handsome Prince. Great story and perfromance. The kids love it! There are few characters in literature more iconic than J. M. Barrie's Peter Pan, the Boy Who Wouldn't Grow Up. Originally introduced in 1902 in another Barrie novel (The Little White Bird), Peter's story was expanded as a standalone novel in 1911 and since then has been memorably adapted for the movies, for television, and for stage. Now, actress Lily Collins (The Blind Side, The Mortal Instruments: City of Bones) brings new, youthful energy to Peter's magical adventures. 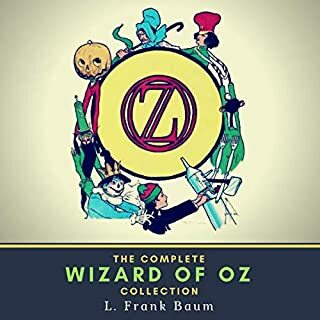 "This story was inspired by a remark of Mark Twain's to the effect that it was a pity that the best part of life came at the beginning and the worst part at the end. By trying the experiment upon only one man in a perfectly normal world I have scarcely given his idea a fair trial. Several weeks after completing it, I discovered an almost identical plot in Samuel Butler's 'Note-books'." When Alice tumbles down, down, down a rabbit-hole one hot summer's afternoon in pursuit of a White Rabbit, she finds herself in Wonderland. And there begin the fantastical adventures that will see her experiencing extraordinary changes in size, swimming in a pool of her own tears, and attending the very maddest of tea parties. 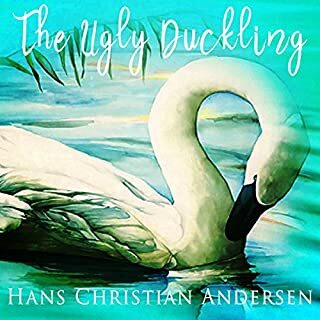 This beloved fairy tale by Hans Christian Andersen about a lonely outcast duckling who is transformed into a beautiful swan offers a magical glimpse into the realm of human nature. Cher narrates this charming and entertaining rendition, which represents storytelling at its best. Musical accompaniment by Patrick Ball enhances the narration. Ages four and up. Belle wants more out of life than the small provincial town of Villeneuve can offer. There she stands out from the crowd with her unique point of view, her strong-willed independence, and her love of books. She longs for travel and adventure, for a life as exciting as the stories she reads. But when Belle's beloved father is taken prisoner by a beast in an enchanted castle, her path is forever changed. Beauty and the Beast is one of the world's most famous fairy tales. 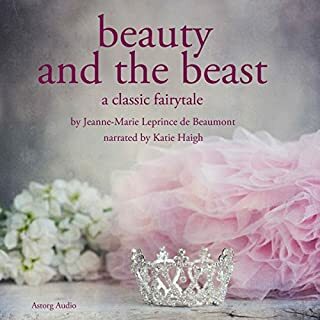 This is the very first published version of the fairy tale, by Gabrielle-Suzanne Barbot de Villeneuve, published in 1740. Variations of the tale are known across Europe. It has been enormously popular for centuries. In 1991 the story was made into a Disney animated musical fantasy. Andersen's fairy tales, which have been translated into more than 125 languages, have become culturally embedded in the West's collective consciousness, readily accessible to children, but present lessons of virtue and resilience in the face of adversity for mature readers as well. This title is part of Andersen's Fairy Tales, Volume 2, published by Dreamscape Media. LLC. 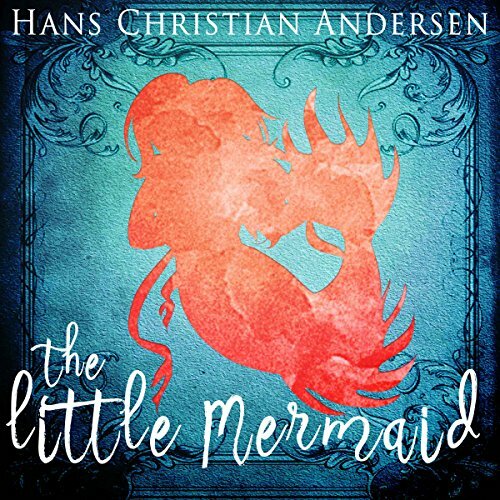 The Little Mermaid is a fairy tale written by the Danish author Hans Christian Andersen about a young mermaid who is willing to give up her life in the sea and her identity as a mermaid to gain a human soul. lovely voice acting. very gentle and kind voice. it is a quick 1 hour story. a magical, beautiful and tragic tale (or tail). i highly recomend.